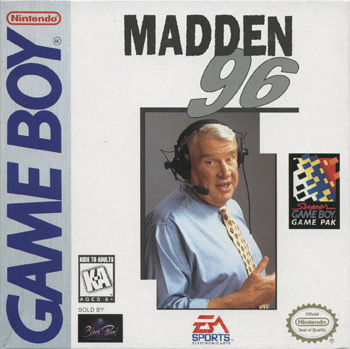 Welcome to our coverage of Madden '96! 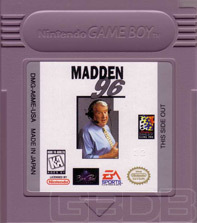 Once again we've teamed up with John Madden to bring you the most true-to-life interactive football experienc available! We rewrote our playbooks and came up with 30 current squads who perform just like their professional counterparts would in similar situations. Try to contain the "No Huddle" offense of Buffalo, or see if you can pick apart the "Double Talon" defense of Atlanta. Full seasonwith playoff tournament and Championship game. Comprehensive team and postion statistics throughout. 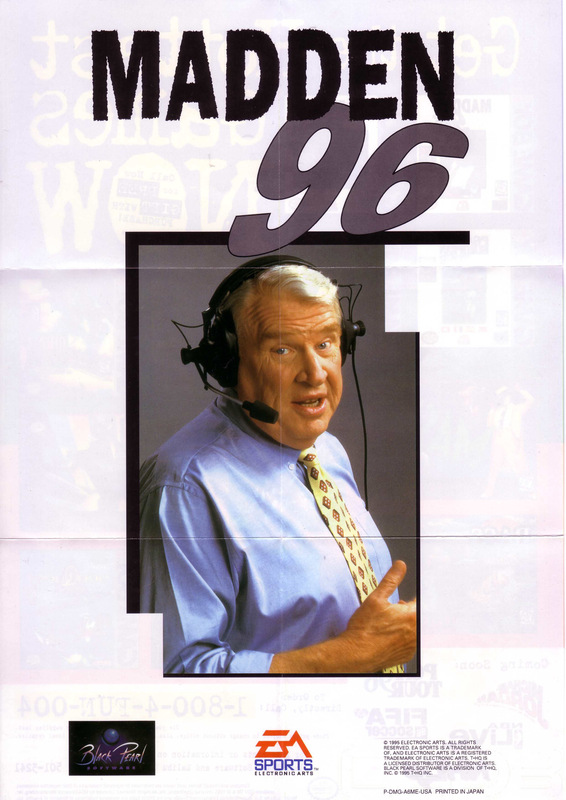 30 current squads along with the 1996 All-Madden team. Make player substitutions at any position! Completely revamped, in-depth play-design and execution. 2-Player Mode using Super Game Boy. Use the Bluff Mode when executing an offensive or defensive play when playing 2-Player Mode. 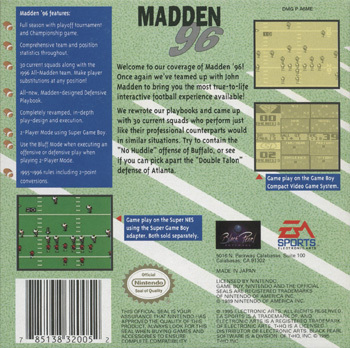 1995-1996 rules including 2-point conversions.